Amarillo Gear (Jiangsu) Co. held an open house in September to celebrate its entrance into the business community in Changzhou City, Jiangsu, Province, China. Amarillo Gear (Jiangsu) is a wholly owned subsidiary of Amarillo Gear Company LLC, Amarillo, Texas, U.S.A. and is a Marmon/Berkshire Hathaway company. Amarillo Gear (Jiangsu) manufacturers and supplies the Amarillo Gear’s Global line of right angle gearboxes specifically used to turn a large axial fan in wet cooling towers. If you need higher ratios and more power, our Global double reduction gearbox is the perfect choice. Reduction ratios range from 7.5:1 to over 18:1. Power ratings start at 45 kW and exceed 342 kW. Our Global is designed and tested using years of experience at Amarillo Gear Company. It is a proven design able to provide years of reliable service. It is manufactured under a strict quality control program replicating the same system that Amarillo Gear Company uses in the U.S.A.
Amarillo Gear (Jiangsu) is able to supply new double reduction right angle gearboxes to its customers in the Chinese mainland & Taiwan, SE Asia, India, Europe, the Middle East, and other regions of the world. Complete service and support for the Global product will be offered by Amarillo Gear (Jiangsu) and its parent Amarillo Gear Company. Amarillo Gear Company LLC is pleased to announce the formation of Amarillo Gear (Jiangsu) Co., Ltd. located in Changzhou City, Jiangsu, Province, China, and the opening of its new factory. Amarillo Gear (Jiangsu) will manufacture and supply to the cooling tower industry, right angle fan drives designed specifically for this purpose. 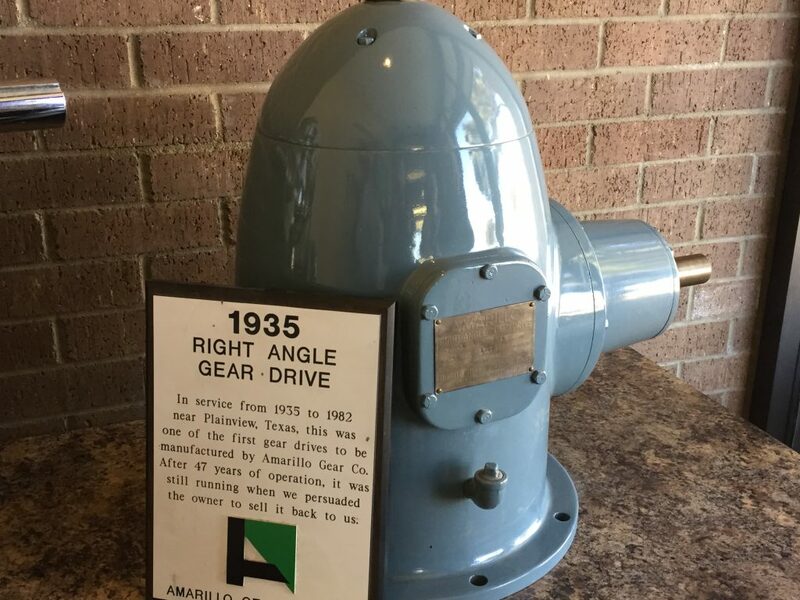 Amarillo Gear has a 45+ year history of manufacturing right angle gearboxes designed specifically for use in the difficult wet cooling tower environment. Amarillo Gear (Jiangsu) is able to supply new double reduction right angle gearboxes to its customers in the Chinese mainland & Taiwan, SE Asia, India, Europe, the Middle East, and other regions of the world. Amarillo Gear (Jiangsu) will manufacture the Global line of right angle fan drives for field erected cooling towers. Complete service and support for the Global product will be offered by Amarillo Gear (Jiangsu) and its parent Amarillo Gear Company. Amarillo Gear Company LLC and Amarillo Gear (Jiangsu) Co., Ltd. are Marmon/Berkshire Hathaway companies. Manufacturing is a cut and dry industry. The premium placed on production times and automation only help to affirm the impersonal nature. But the paradox that’s easy to miss is that purpose of manufacturing is to meet the needs of a community. Amarillo started out a railroad town sprawled out on a windswept plateau and an infinite horizon. It was a place where the quality of life depended on how well you worked with members of community and how stubborn you could be. These are traits of resilience and reliance. In the panhandle those traits are valued and upheld to a high degree because they mean survival. Understanding the meaning of the traits most valued by a community is critical to any manufacturing company’s bottom line. 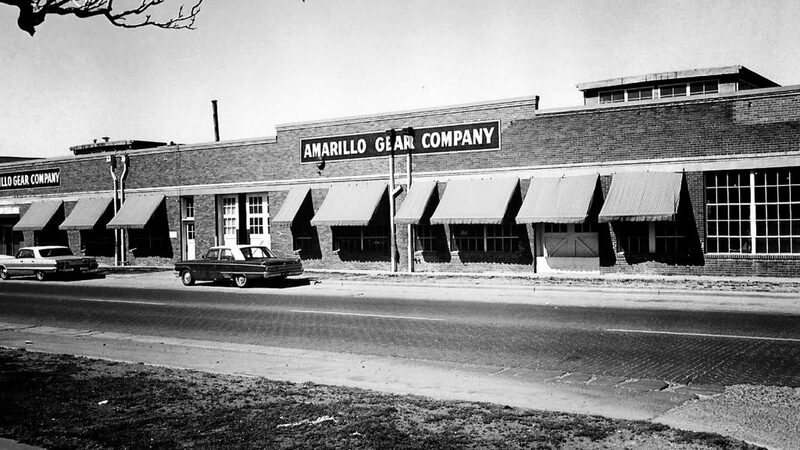 Initially, the Amarillo Gear Company production was central to the farming. Our emphasis was on manufacturing the machines and parts that used by farmers in growing their crops. Water sources were flung far and few in-between and mandated the use of irrigation systems in cultivation. This created a niche in the market, which we quickly filled. We knew the farmers by name, the models they purchased and what tools to take out for service calls. Eventually, we built the right-angle drives that allowed for an expansion of the crops that fed and sustained our growing city population. The food we put on the plates of our neighbors was also the food we put on our own plates. We were totally invested in the success of our drives because it benefited us directly as a local company. This is something that more consumers need to see. To manufacture, there must be a need and to have needs is to be human. By promoting a desire to help raise the quality of life by creating the products that allow for it, we unveil the humanity within machinery. It’s the key to how a company can survive the changes brought by the years. Technology changes at the speed of light, so do regulations and trade agreements and the free market is an eternal gamble. But the importance of knowing what the purpose of a manufacturer is and fulfilling that purpose is where a company can grow. So, after 100 years, why are our customers still choosing Amarillo Gear when other products have come and gone onto the market? It’s because of the five core principles that we’ve run our business on since we opened. Continue reading Why Amarillo Gear? The American Gear Manufacturers Association (AGMA) is the global network for technical standards, education, and business information for manufacturers, suppliers, and users of mechanical power transmission components. They are considered the gold standard when it comes to setting the benchmark by which all gears should be measured. At Amarillo Gear, we’re proud to be associated with the AGMA. We’ve been members since 1950, which means that you know we’ve been producing high quality gearboxes for our customers for years. The AGMA provides one of the most conservative guidelines in the industry, and we’re proud to ensure that our gearboxes meet those guidelines. That may seem like a given, but many other producers choose to follow and design to lesser standards which affects reliability and costs you money in the long run. Being a long-term member and designing products that meet stringent AGMA standards is one big reason Amarillo Gear boxes are known for their reliability and long life. Our 100-year company culture is to always do right by our customers by utilizing high quality materials and following the most conservative standards in the industry. When you see that AGMA member badge here on our website, you know that you’re getting a high quality gearbox..
Buy quality. Buy expertise. Buy reliability. Buy Amarillo Gear.